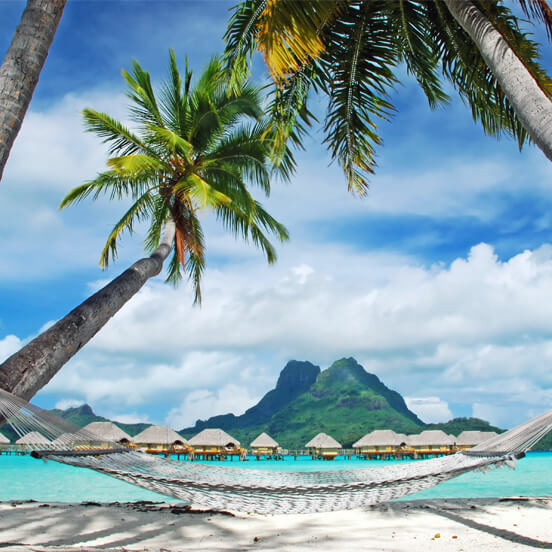 Bora Bora luxury holidays take you to a tropical paradise island straight out of your imagination. Walk barefoot on pristine white sand, dip your toes in sea the colour of sapphire and relax on a hammock gently swaying under lush palm fronds. Far-flung and fabulous, the South Pacific is a remote and diverse region where you’ll be welcomed by smiling locals. The unspoilt islands offer holidaymakers a peaceful retreat in some of the world’s most sought-after holiday destinations. Our luxury hotels in the South Pacific provide the exquisite service you’d expect from top-class accommodation, but without the crowded pools and beaches. Island life is slow-paced and laid-back, inviting visitors to relax on sun-kissed beaches, swim in crystal clear waters, and explore tropical rainforests. The South Pacific is home to a diverse range of people – Polynesian, Melanesian and Micronesian – giving each island its own unique culture and history. Small but jam-packed with exciting experiences, scuba diving, snorkelling, horse riding and hiking are just some of the activities on offer here. 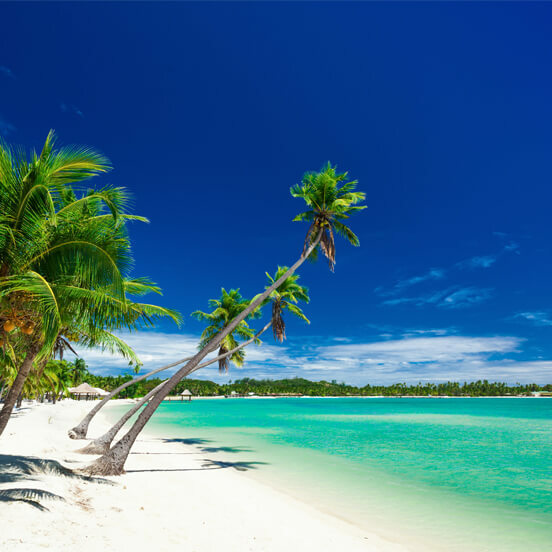 Fiji is synonymous with swaying palm trees, sparkling blue waters and white sandy beaches. The archipelago has over 1,500 species of fish and an abundance of colorful reefs, making it one of the top places for diving in the South Pacific. When you’re not reclining on powder-soft sands, head inland on a 4x4 safari to explore the lush island interiors. 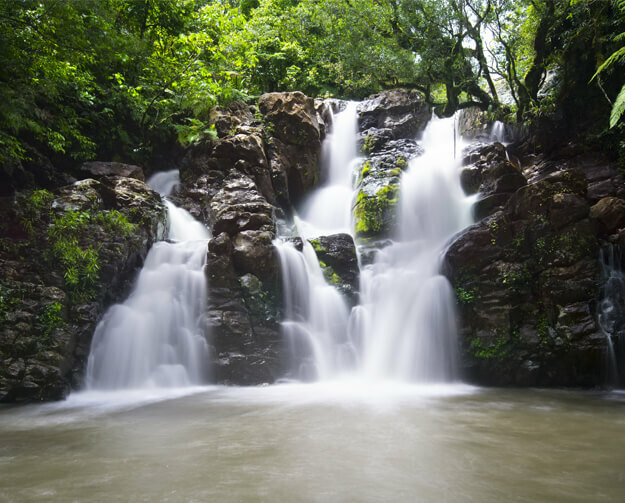 Known as the Garden Island, Tavenui is home to wild jungles and crashing waterfalls and is well worth a day-trip. When the sun goes down, the beachside resorts and local villages come alive with a vibrant nighttime scene. Head to Suva to experience the many taverns and cafés, where you can drink with the locals and experience the famous Fijian hospitality first hand. What strikes visitors as they fly into Bora Bora is the tapestry of vivid blues, whites and greens. Home to some of the best 5 star resorts in the South Pacific, including private over-the-water bungalows, holidays to this island centre around the pristine beaches and turquoise lagoons. There are plenty of outdoor pursuits available, including hiking, diving, parasailing and lagoon boat tours. Alternatively, kick back on a stretch of sand and admire the undisturbed sea views. Bora Bora is a quiet island, where most evenings are spent dining in seafront restaurants, enjoying a cocktail in the hotel bar or taking a leisurely stroll along the beach and watching the sun dip below the horizon. 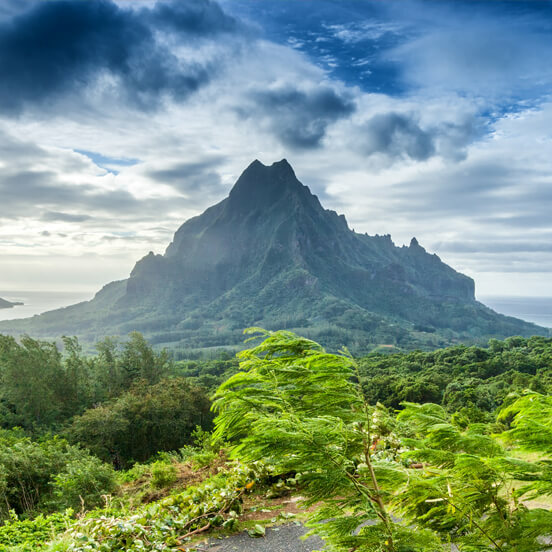 Tahiti offers an alluring mixture of mountains, black-sand beaches and sheltered lagoons. The energetic capital, Papeete, is the place to experience modern Polynesian culture. Go to the Marché de Papeete, a large bustling market, where you can browse everything from sarongs to shell necklaces and sample traditional Tahitian food. Outside of the city, you can go on an adventure into the heart of the island where you’ll find majestic volcanoes, translucent lagoons, hidden waterfalls, and ancient archaeological sites. From July to October, there’s a good chance you’ll spot whales off the coast too. Our luxury resorts in the South Pacific offer a warm welcome to visitors who want to be pampered, relax on beaches and experience the island’s natural beauty. Contact us today and we’ll help make your idea of a dream holiday become a reality.